2. In the bowl of a stand mixer, combine water, oil, yeast, and sugar. Allow mixture to rest for 15 minutes. 3. With a dough hook, mix in salt and egg and 2 of the cups flour until combined. Add remaining flour ½ cup at a time. 4. Shape dough into 12 balls and let rest for 10 minutes. 5. 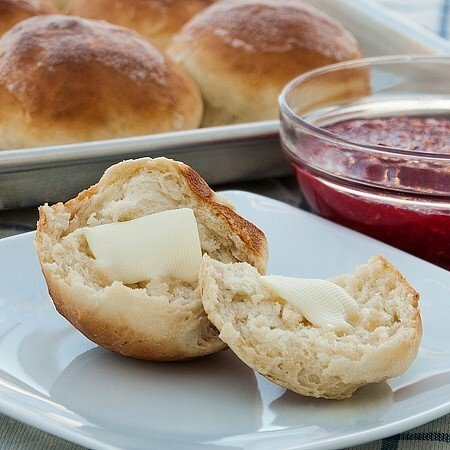 Place rolls in a greased 9x13 pan or baking sheet. Bake at 400 degrees for 10 minutes until tops are golden brown. Makes 1 dozen. *Note: I used ½ white whole wheat flour and ½ all purpose flour.